After a gestation period of nine months, Google Chrome is about to have a baby. 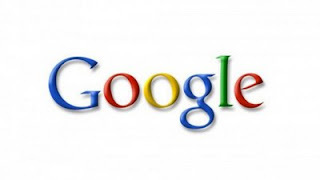 The father (Google) has announced that it is gearing up to launch a new open source, lightweight operating system. Aimed initially at the netbook sector, Google is working with the likes of Acer, Hewlett-Packard and Lenovo to bring the system to market in the second half of 2010. Although the browser market is undeniably dominated by Microsoft and Mozilla, Google Chrome has garnered an estimated 1.74% slice of the pie and is regularly used by over 30 million people around the world. Even though I readily admit to being a Firefox fan, I use Chrome when out and about because of its light footprint on system resources and its speed. The new OS is going to be about simplicity and compatibility according to Google. Rather than seeing the Internet as a additional service included in a platform, Chrome OS is all about the internet. Most of the user experience is expected to take place on the web, reflecting the (undoubtedly sad) fact that huge numbers of us spend whole lifetimes online. The Chrome OS interface is being designed to be minimalistic and unobtrusive. As with the browser it's also about speed, the plan is for the OS to be fired up and ready to use in mere seconds. Google Chrome OS will run on both x86 as well as ARM chips and as you'd probably expect, the OS code will be open source (it is in fact being built on top of a Linux kernel) which will give plenty of opportunity for application development. Any web-based application created for the Chrome OS should also work without issue via any standards-based Internet browser on whatever system the user might have. Strength and security are also at the heart of this development. Google has recognized the enormous amount of time and resources that can be eaten away while users try to keep system viruses and malware at bay and ensure their computer is up to date. As with the browser, Google is completely overhauling security architecture with the goal of eliminating all those distracting nasties so users can just sit back and get on it. Will the new OS deliver on the promises of consistently fast boot up times and instant availability of software, ease of use with minimal interference, enhanced security and peace of mind, file access from wherever you happen to be and a genuine plug and play experience? By all accounts we won't have too long to wait to find out. Google sees the first wave of the Chrome OS sitting on netbooks and will be actively working with members of the open source community and manufacturers such as Acer, Asus, Hewlett-Packard, Lenovo and Toshiba (amongst others) to bring the first of those to the marketplace in the second half of 2010. PCs and laptops should follow shortly after. Keep your eyes on the Google blog for more updates. Hopefully Google will learn important lessons from its browser release and be able to deliver a truly safe and secure OS (several exploitable security flaws were in fact discovered after Google threw down a gauntlet and challenged experts to find problems with Chrome). Only time will tell. And in case you're wondering, Google plans to make its operating system free to use. Sweet!